With the recent 3D TV purchase, the urge to get a better sound system to complement my TV is getting stronger. Like Sony is always the brand that I look for my TV, for the sound system, it’s Yamaha. With the kind of sound system that I plan to get, the possibility is endless. You can get a receiver of any brand, then match that with the speaker and sub of your choice, and depending on how much your budget is, you can really get a very decent speaker, with a very expensive speaker cable. 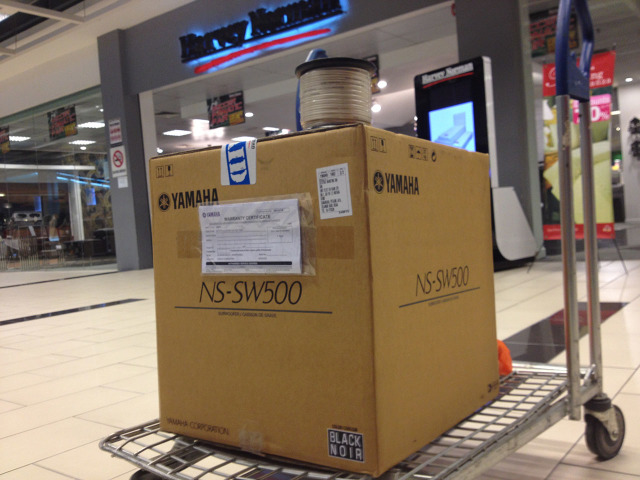 I’ve been hopping from shop to shop to survey for the one that I want to get, and it seems Harvey Norman is the best place to get as they have a dedicated section for Yamaha receivers and speakers. 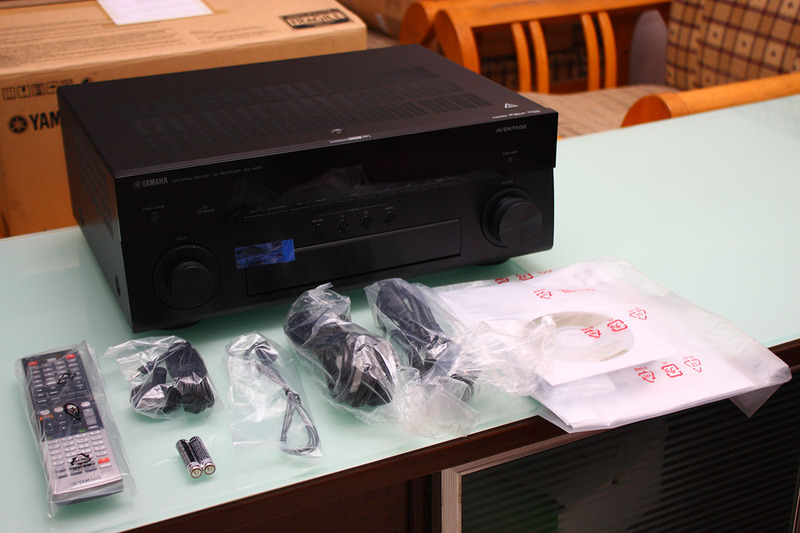 Also, Yamaha does have a Home Theater package, where it bundles the speaker with the receiver, and it is cheaper than getting both separately. Below is the one that I’d like to get, DHT-810SPK500 package from the advance series. 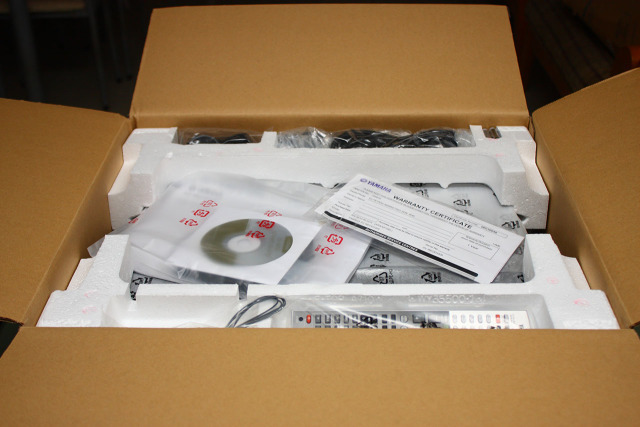 This package comes with RX-A810 receiver. 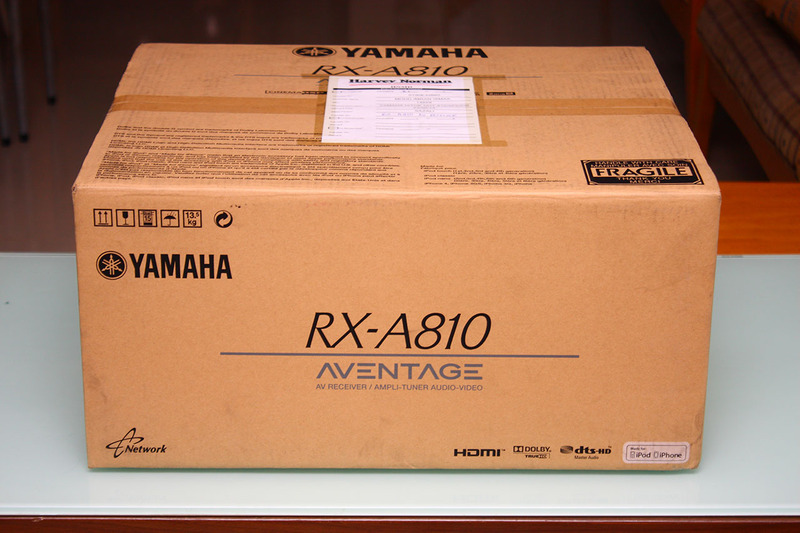 This receiver is part of Aventage product lineup, which is Yamaha’s flagship series. Just head to the link to know what is so special about Aventage series. Being a flagship series, the price explains it all. RM8,790 is way out of my budget. I guess I have to settle for something lower in spec. 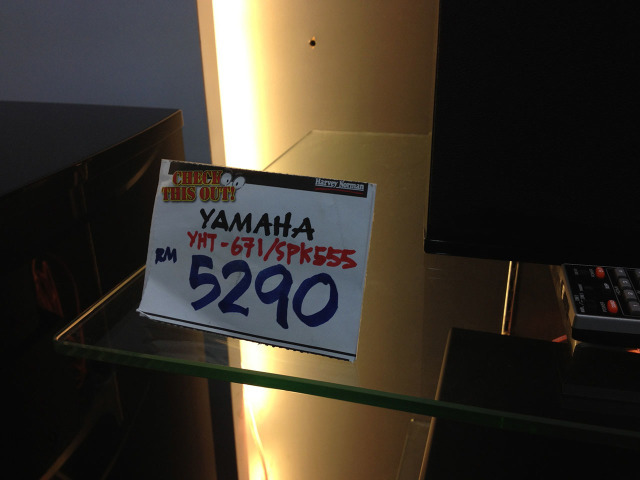 I saw YHT671SPK555 package, also from the advance series at Harvey Norman Mid Valley. This one is cheaper as it comes with the RX-V671 receiver, which is part of the RX-Vx71 series. The price is within my budget, but I didn’t go for this one, firstly because the salesman that handles me that time is not very knowledgeable about receivers and amps. Every question that I asked, he has to go to counter to inquire about it, and I get annoyed in no time. Secondly, there was a new model coming. The RX-V671 receiver will be replaced with RX-V673. I guess I’ll just wait. 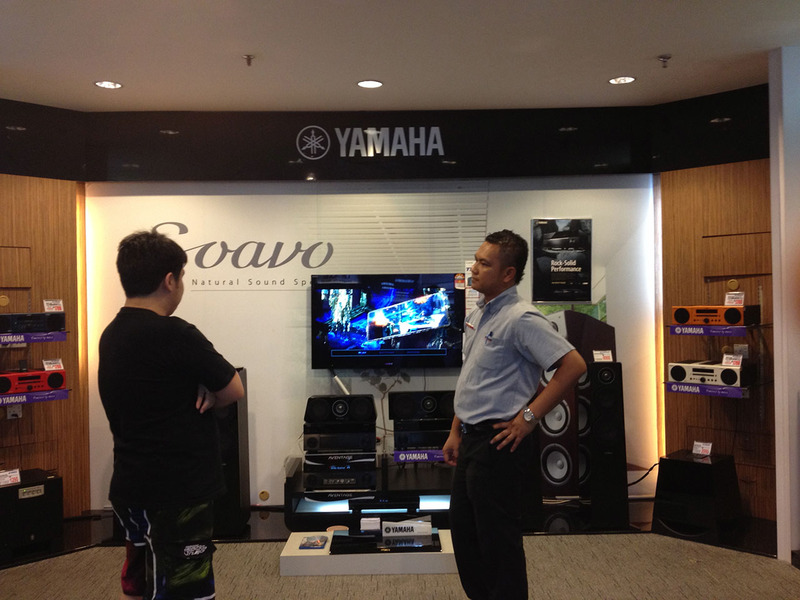 But all of that changed when I pay a visit to Harvey Norman Ikano, where I meet Zaimi. Well, I hope he doesn’t mind me sharing his contact number below. 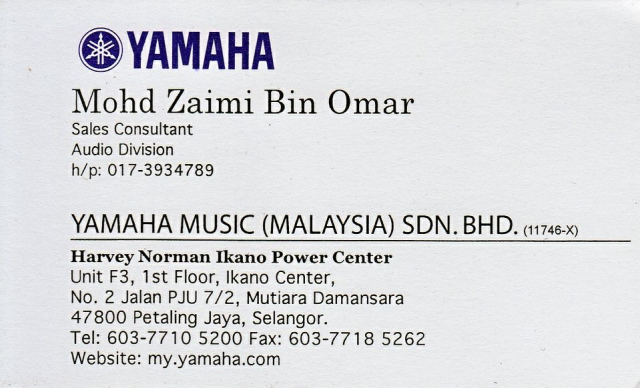 After all, that number is from his business card, which by right his intention of having business card is so that other people have his contact number right? 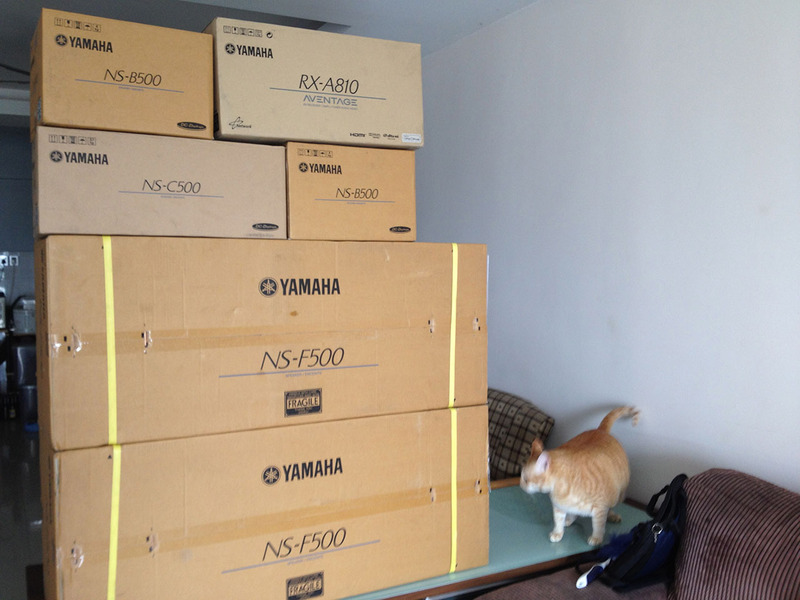 Anyway, Yamaha receivers and amplifiers are just his thing. He’s quite knowledgeable, and he knows that product that he is selling. Turned out that RX-A810 receiver is on display here, and he insisted that I hear to how it sounds. I guess it lives up to the fact that it’s being part of Aventage series. I’m really getting a high dosage of poisons here, and at the end, I’m leaving the showroom with this piece of paper. 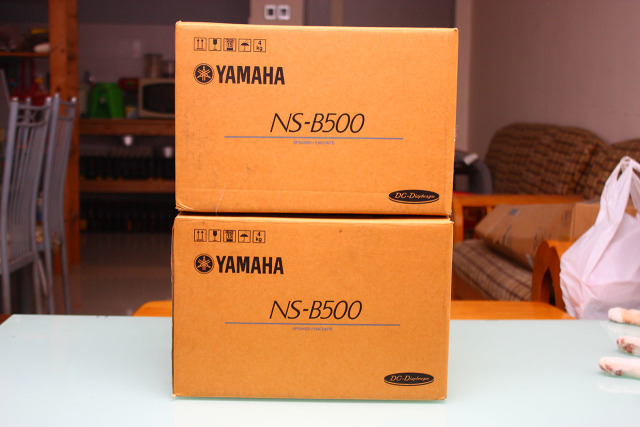 Turned out that they just had a Yamaha fair here, and the DHT-810SPK500 package that I want to get before (which is originally priced at RM8,790) is now priced at RM6,900. The deal is still on even after the fair has ended. After 2 rounds of bargaining, I manage to get a RM6,599 price, which I think is quite a good deal. 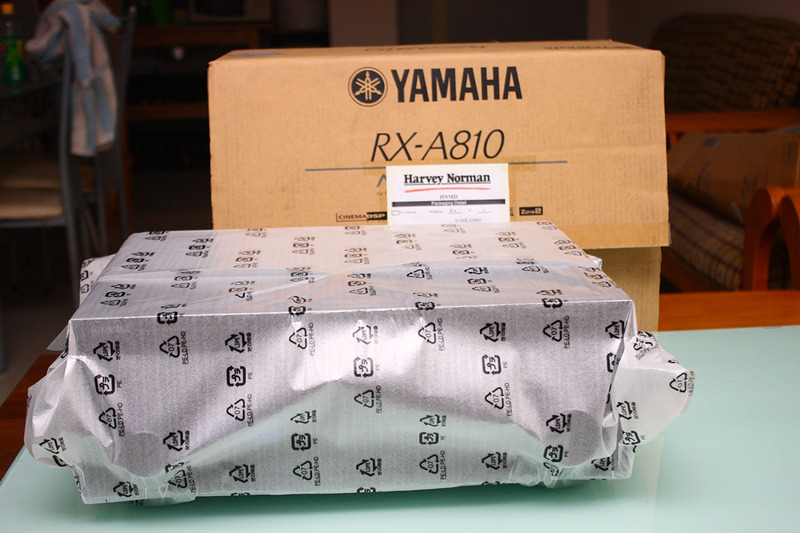 I bet they are trying to clear the stock, as there is a new successor model for this one too, which is RX-A820, which at the time of this writing, it’s still not available from Yamaha Malaysia. I really did a bit of research of the differences between RX-A810 and RX-A820 model. The significant new features that RX-A820 has over RX-A810 are – the introduction of AirPlay, as well as the later model supports 4K signal (it’s the next thing after 1080p resolution). At this point of time also, there is no media yet that uses 4K resolution, and my TV doesn’t support this yet. About AirPlay feature, that only support music, and the feature seems redundant as I can do the same with Apple TV. Furthermore, with Yamaha App on iPhone/iPad, I can also wirelessly play the MP3. So that’s why I’m happy just to settle for RX-A810. So after about 1 and 1/2 week of waiting (since it has to be ordered first), finally, the moment that I’ve been waiting for has arrived. My new sound system has been delivered to my house. 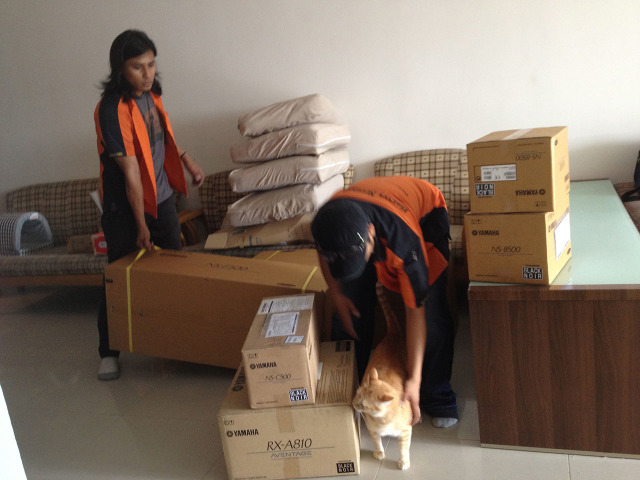 Well, Oyen always the one that gets excited with all the boxes lying around. 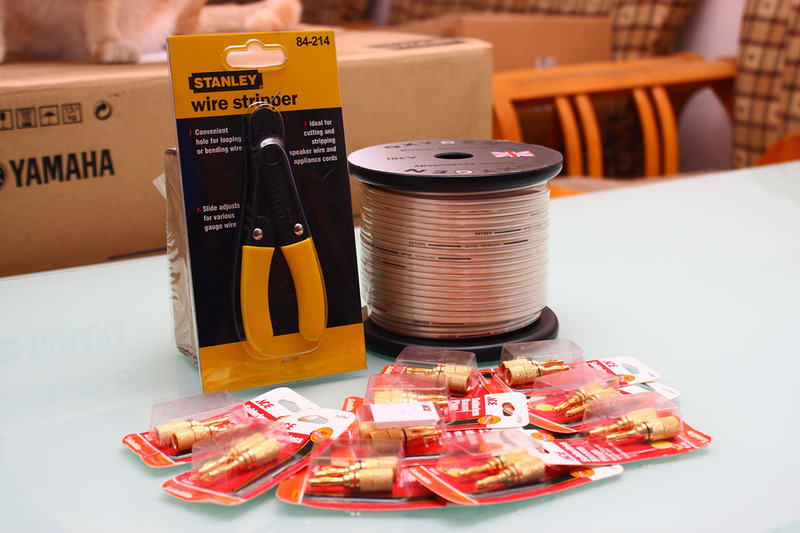 And here are all the different components that make this package. RX-A810 Premium Quality Audio Performance combines with the latest technological advances, including iPhone app compatibility, front panel HDMI and USB digital connections, 8 in/2 out HDMI (3D and ARC compatibility), HD Audio decoding with CINEMA DSP 3D, YPAO Multipoint functionality, and custom installation-friendly features. 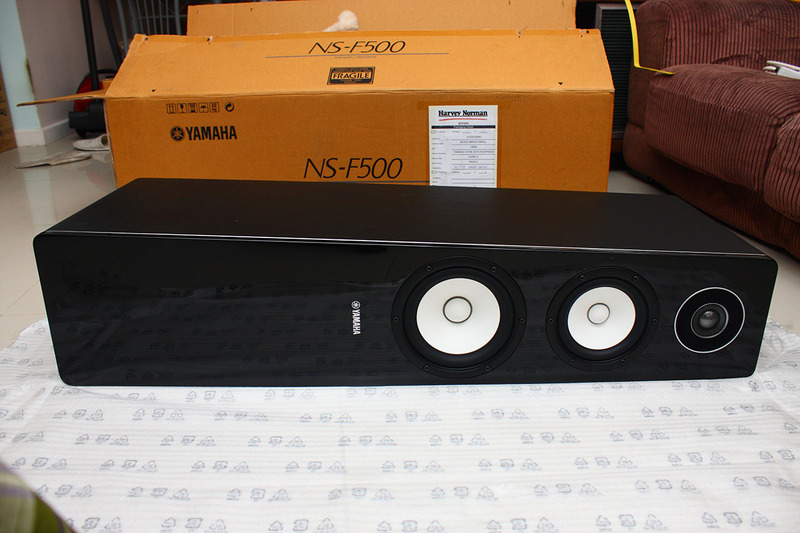 NS-F500 A floorstandlng speaker designed for superbly natural sound In the tradition of the Soavo series. Casual yet authentic, as amiable as an old friend, as new as the next generation. NS-B500 Bookshelf speakers that provide stunning performance even as main speakers. 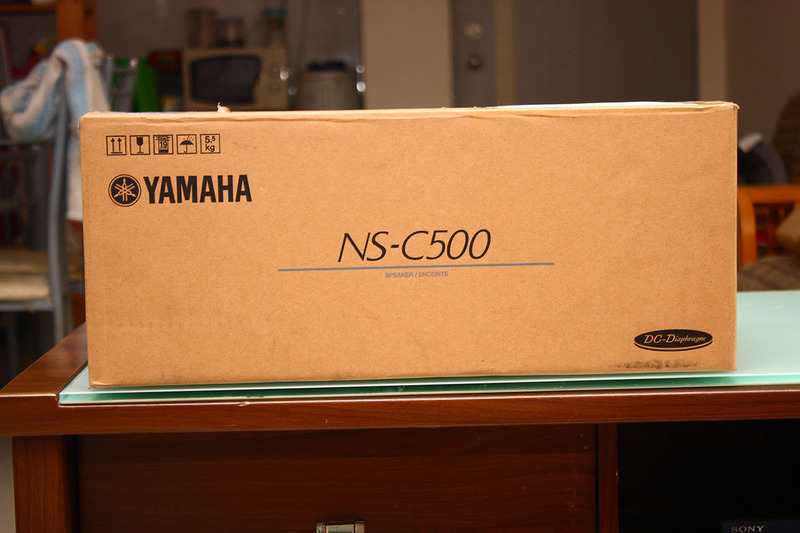 NS-C500 An outstanding center speaker that excels at vocal reproduction. My new home theater system is having the same fate as my new TV, where it remains in the box through out the process of the TV Panel renovation. Despite all the excitement, on the other side, it’s quite sad to forbid goodbye to my old Sony STR-DK5 Professional Karaoke Amplifier. I’m selling this amplifier to a friend. You have served my well throughout the 6 years where I enjoy the surround sound of the movie that I watch using this. But there is something still missing for my setup. I’m still missing the .1 in my speaker configuration, which is the sub-woofer. 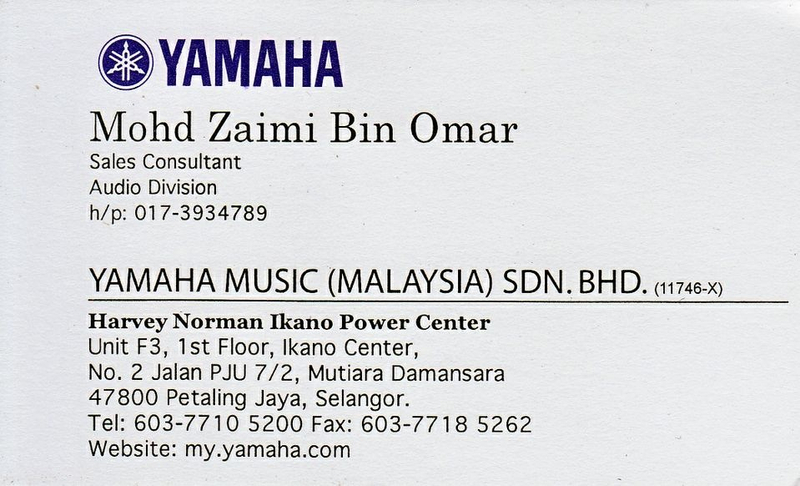 At the show room, I did ask Zaimi to disconnect the sub from the receiver, and send the low frequency to the front speaker instead. The outcome is that the bass is not as rich as using sub. On one fine day, I pay Zaimi a visit again at Harvey Norman Ikano, to get the speaker cable since my TV Panel construction is almost finished and I will start assembling my sound system pretty soon. 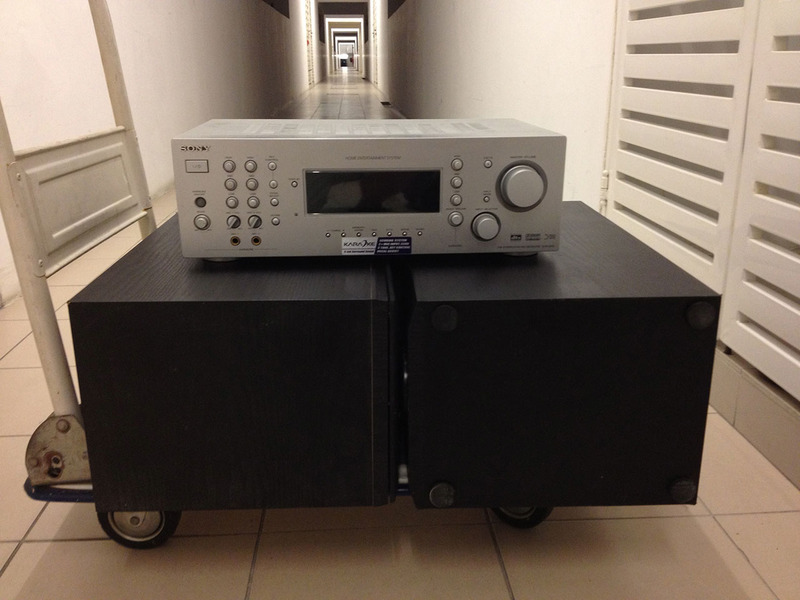 While browsing through the sub, again, there is a high dosage of poison given, where I’m getting the NS-SW500 sub-woofer. It’s from the same series as my speakers, and this should complete the set of speakers that I have. NS-SW500 The high-performance A-YST II subwoofer, with response to 20Hz – sound to stir the soul. 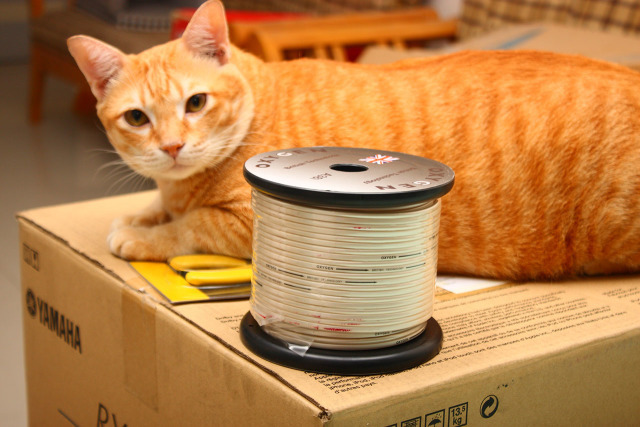 I also came to love the idea of connecting the cable to the speaker using Banana Plug. Even the one that I’m getting is not a high end one, but it’s not that cheap. 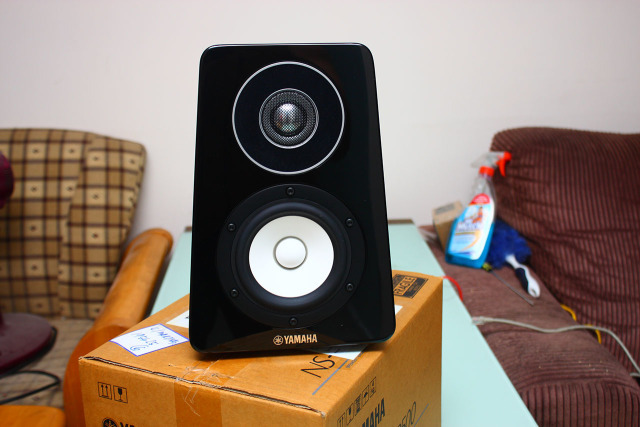 RM19.90 per pair, where I need 10 pairs for my 5 speakers (2 front, 2 rear and 1 center). 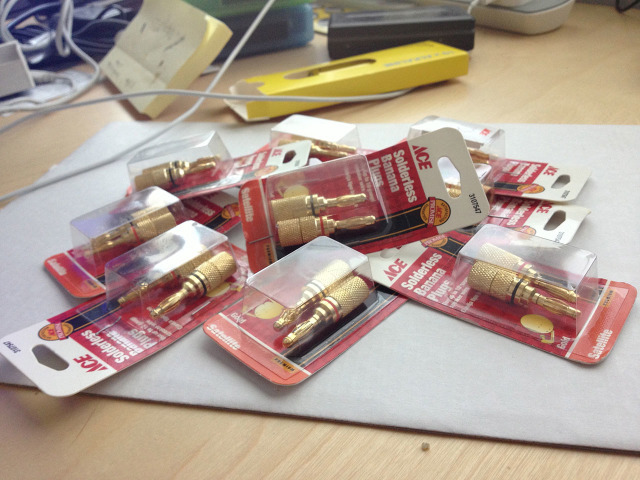 So here are RM199 worth of banana plugs. 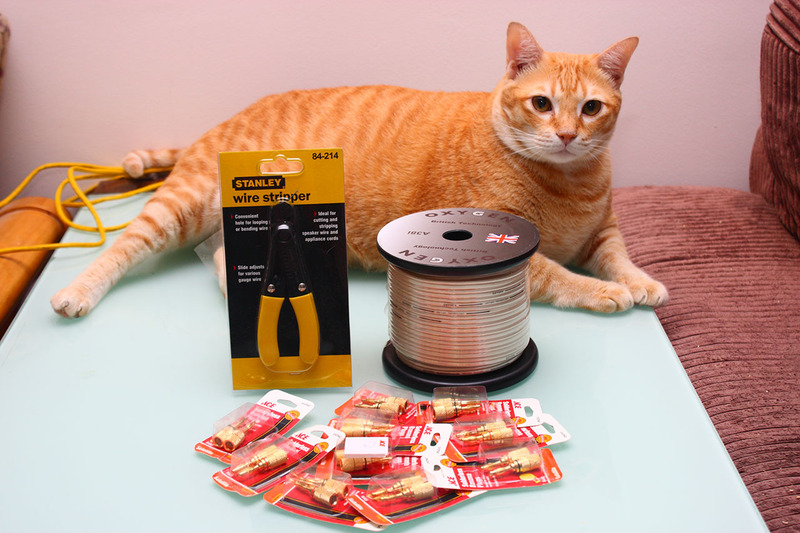 I have to shop at 2 different Ace Hardware outlets for this. I particularly like this one since the plug is color coded to distinguish +ve and -ve terminal. And the day that I’ve been waiting for has arrived, where my new amplifier is finally out of the box, and placed into the cabinet of the newly renovated TV Panel. Fulfilling the criteria of receiver/amplifier that I want to get, RX-A810 comes with 8 HDMI inputs – 7 at the back and 1 at the front. This is just perfect. I have 6 A/V appliances with HDMI output, and I hate the thought of adding another HDMI switcher to switch between them. With this, I only need 1 HDMI connection to the TV (which I have already concealed in the wall during TV Panel construction). Here are the 6 A/V appliances that I will hook up to this receiver, and I still have place for 1 more HDMI connection. Will keep the front HDMI free for ad-hoc connection. The next step is to get the speaker cable ready for all the 5 pieces of the speaker. This is the cable that I’m getting from Zaimi the other day (the day that I also bought the sub-woofer). 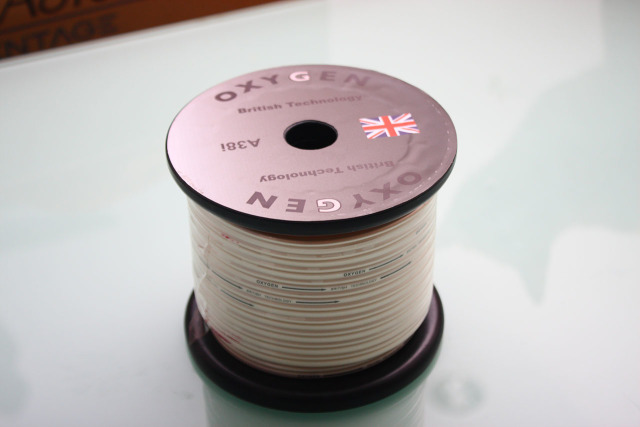 It’s the Oxygen brand from UK. All the tools ready, and the cable is ready to be stripped and attached to the banana plug. It’s quite a tiring process. So I just leave you with the series of the photos of my speakers. Hope the photos speak on their own. IM kene beli gitar karen nie… kasi layan rock..
best gila baca blog nih. selalu bagi inspirasi untuk kerja kuat, simpan duit banyak banyak, dan beli benda best best. hahahaa. gambar full setup yg complete belum upload lagi? wiring speaker conceal or exposed? 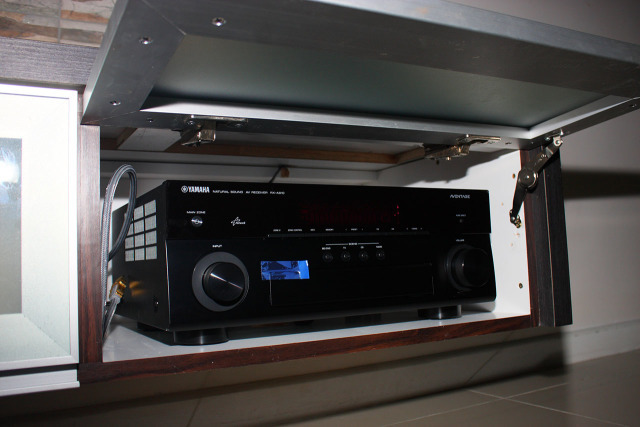 saya baru siap bual av room saya kat rumah baru..conceal memang nampak cool..
cable speaker sumer exposed. takde ongkos nak conceal. bestnya ada AV room. 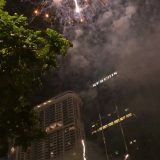 nanti kasiklah gambar. huhu. recliner dah beli lum? huhu. tulah. tapi tak tercapai kut nak pasang projektor. 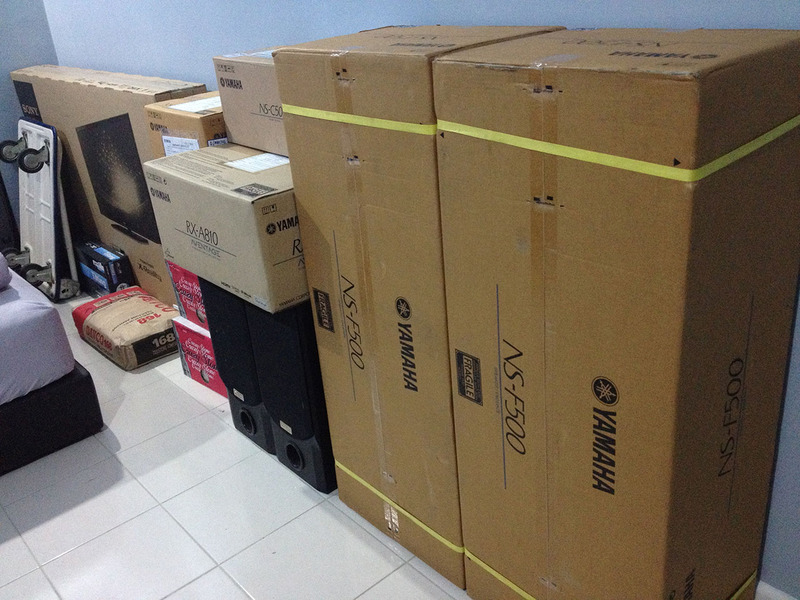 susah nak wat kat living room. klu ada AV room, leh darken ngan thick curtain time siang2 hari. 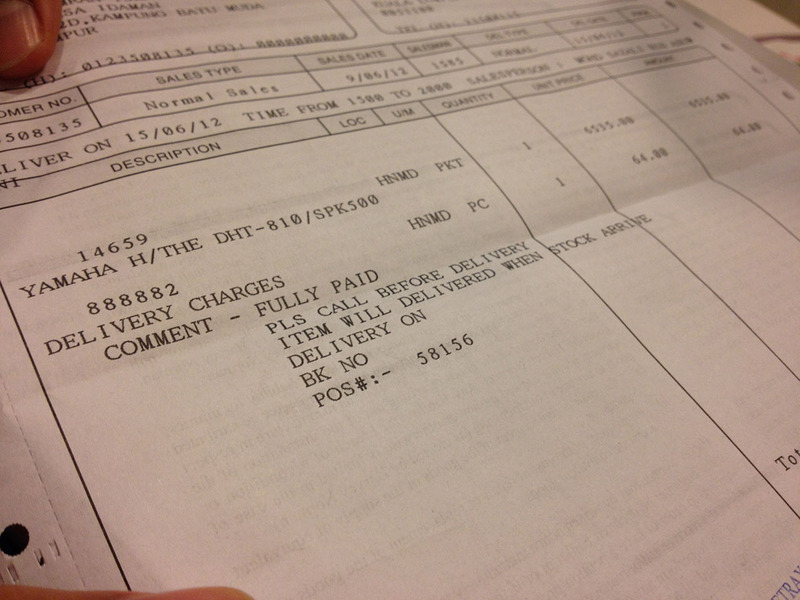 Imran, did you actually get to use the RM199 worth of banana plugs on the A810? I believe only the US A810 version accommodates banana plugs. 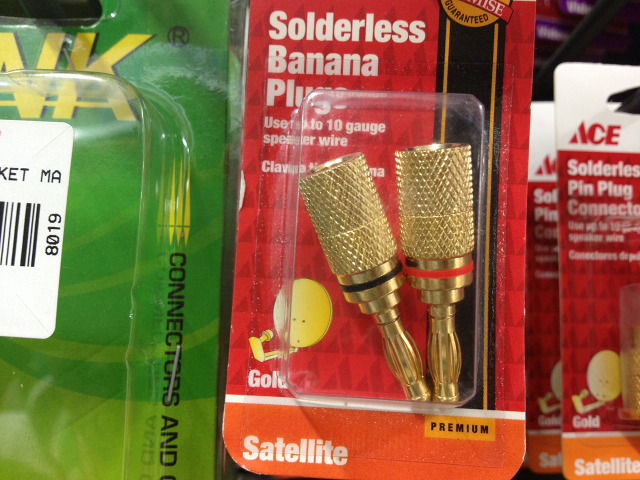 I would have loved to use these gold plated banana plugs 🙂 on my A820. Thanks for the great tip, Imran, I’ll go ahead and get me some nice banana plugs to free me from the inflexibility of the binding posts. Hope you are enjoying your A810 as much as I’m enjoying my A820. BTW, how much did HN charge for the SW500? I’m pairing mine with the YST315 SW. 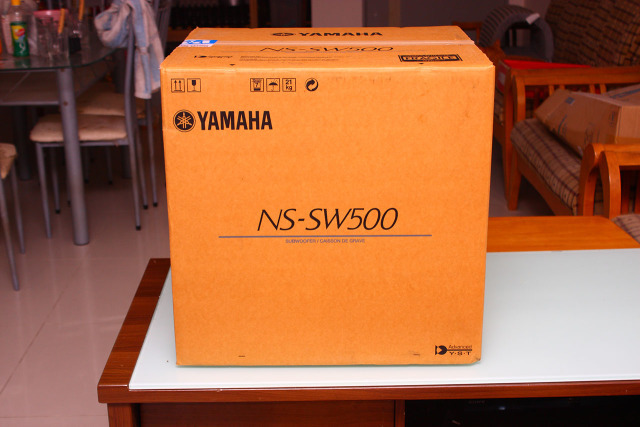 Saw your posts here and very interesting to replace a new unit of Yamaha. 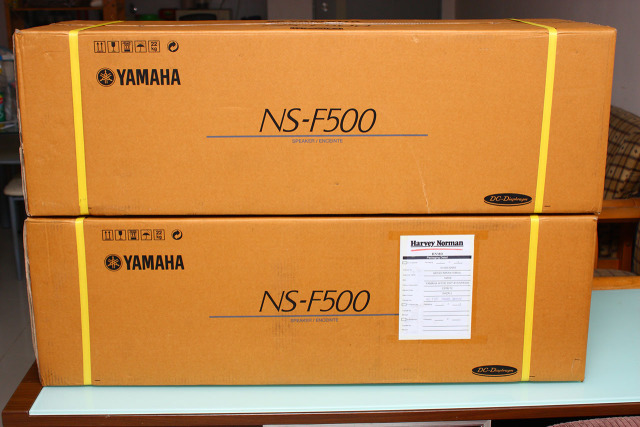 Too sad, all stocks discontinued and they offered me F160 series with 579 AV, it’s cost about RM5000.00. 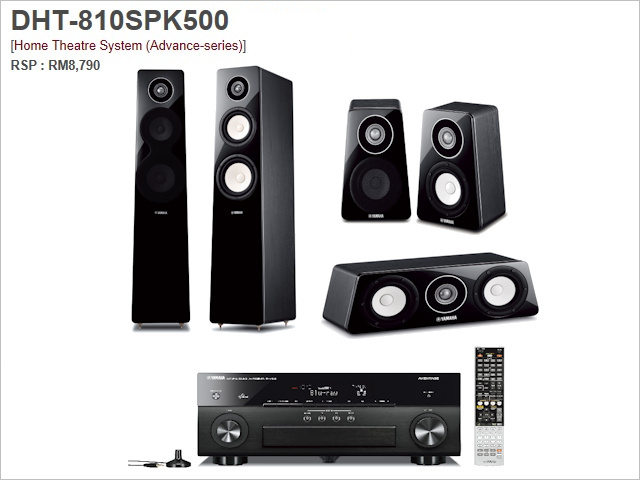 Can you assist me to picking a new set of home theater for me ? Appreciated.